Fast food restaurants, train stations and airports are all restaurant sectors where time is a critical factor for customers who would like to finish meal quickly . In order to satisfy faster sales and better user experience, Keewin has designed a custom kiosk. 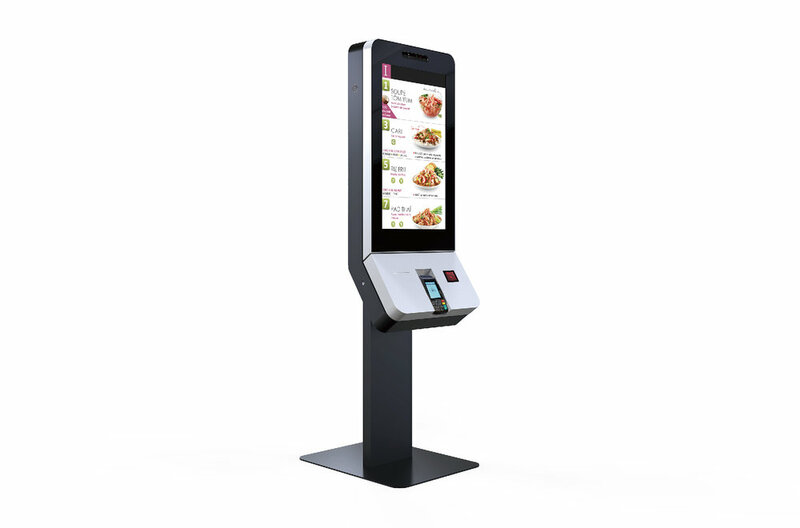 As an effective alternative to POS, Customers can complete the order directly on the kiosk. The kiosk integrates a wide range of devices: 3D Camera, Thermal Printer, Pos Terminal and QR Code Scanner.